Thyroid Hormone helps the body convert food into energy and heat, regulates body temperature, and impacts many hormonal systems in the body. Thyroid hormone exists in two major forms: Thyroxine (T4), an inactive form that is produced by the thyroid gland and converted to T3 in other areas of the body, and Triiodothyronine (T3), the active form. The role of thyroid hormone and consideration of its impact on multiple body systems is emerging as a critical component of balanced hormone replacement for men and women.Symptoms of hypothyroidism (low levels of thyroid hormone) include fatigue, cold and heat intolerance, hypotension, fluid retention, dry skin and/or hair, constipation, headaches, low sexual desire, infertility, irregular menstrual periods, aching muscles and joints, depression, anxiety, slowed metabolism and decreased heart rate, memory impairment, enlarged tongue, deep voice, swollen neck, PMS, weight gain, hypoglycemia, and high cholesterol and triglycerides. Yet, more than half of all people with thyroid disease are unaware of their condition.Although both T4 (thyroxine, an inactive form that is converted to T3 in other areas of the body) and T3 (triiodothyronine, the active form) are secreted by the normal thyroid gland, many hypothyroid patients are treated only with levothyroxine (synthetic T4). For example, T4 preparations are often ineffective for patients with Chronic Fatigue and Immuno-Deficiency Syndrome (CFIDS) and Fibromyalgia(FM). The combination of pituitary dysfunction, high reverse T3, and thyroid resistance, leads to inadequate thyroid effect in most, if not all CFIDS/FM patients. Often Hashimoto’s is caused by environmental triggers such as iodine, infection, pregnancy, or cytokine therapy, resulting in the generation of large numbers of T helper cells, cytotoxic lymphocytes, and autoantibody-producing B cells. Immune cells accumulate in the thyroid and lead to a prevalence of T helper mediated autoimmune responses and cytotoxic effects of T lymphocytes. All of this results in apoptosis (destruction) of thyrocytes, which is the ultimate cause of Hashimoto’s thyroiditis. 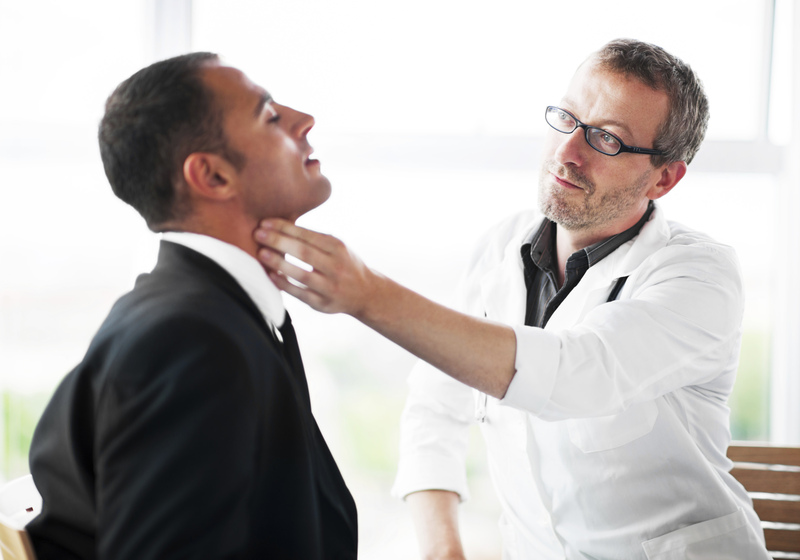 How is Hypothyroidism treated?